Hydrilla (Hydrilla verticillata) is an exotic invasive species now found throughout the Southern and Southeastern states as well as California. Hydrilla grows into dense populations that can choke out other native species and prohibit recreational uses. Note: See also American Elodea an exotic submerged plant found in the Northern states that looks similar. Hydrilla > Averages three to five leafs per whorl with rough toothed leaf edges. Americana Elodea > Averages three leafs per whorl with smooth leaf edges. 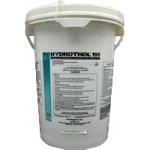 Several products have shown to be effective on Hydrilla. 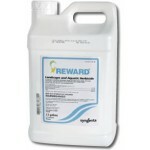 Our customer feedback extols the effectiveness of Reward liquidherbicide. Additionally, the combination of Reward and Cutrine Plusoffers a synergistic winning combo. 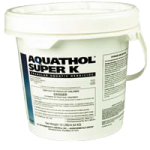 If a granular solution is preferred then we recommend Hydrothol 191 Granular herbicide or Aquathol Super K granular. 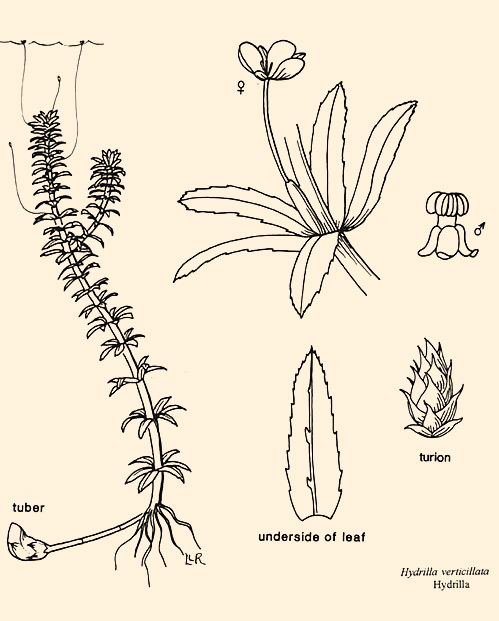 Hydrilla plant fragments can develop into new plants. We do not recommend cutting. Once water temperatures are around sixty degrees or warmer and the plant is viable. 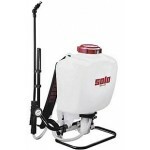 The Reward should be applied by a hand held or Solo Back pack sprayers. 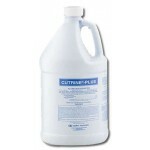 Granular herbicides can be spread by a small Hand held spreader or can be tossed by a hand scoop. Q. How often do I need to treat Hydrilla? Hydrilla can grow quickly. Wait, watch and see after the initial treatment but two applications are not unusual. Be aggressive with this aggressive exotic plant. Generally within two weeks things will be cleared up.